Let your funding proposals come full circle. Even the one that’s due next week! 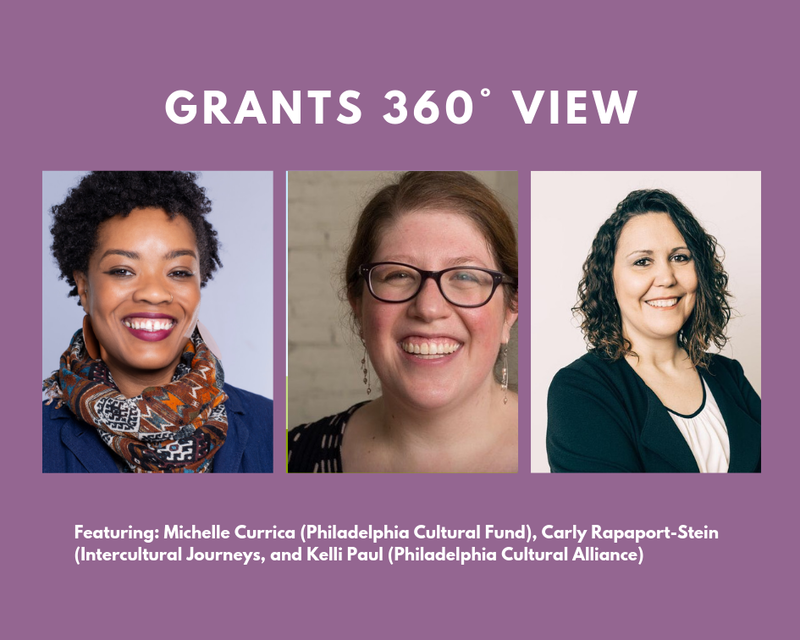 Learn from these talented fundraising professionals, proposal reviewers, and grantees at EAL:P’s Grants 360˚ View panel at 6 pm on April 23 at Tattooed Mom. Michelle Currica immigrated to the United States from Georgetown, Guyana to Memphis, TN at the age of six. Since then she has called a few special places home: Atlanta, Tsuno-cho (Japan) and now Philadelphia. Michelle is an avid student of Aikido. Now in her 5th year of practice, she is part of a small committee of students building the Aikido Institute of Philadelphia, a world-class martial arts dojo. An arts advocate, Michelle is the Program Manager for the Philadelphia Cultural Fund, a non-profit grantmaker supporting local arts and culture organizations and the communities they serve through general operating grants. In her free time, Michelle travels, cooks, and procrastinates on the book she someday hopes to write. Kelli Paul is the Vice President of Development at the Greater Philadelphia Cultural Alliance. She manages all support from foundations, corporations, individuals and the government. Kelli sits on the steering committee Women in Development (Philadelphia). She is also the co-founder of Emerging Arts Leaders: Philadelphia and has served as a panelist for the Philadelphia Cultural Fund and as a Guest Speaker at Eastern University and Ursinus College. Kelli was a 2017 Greater Philadelphia Leadership Exchange delegate and part of the 2014 Designing Leadership class by the Arts and Business Council. Kelli holds an MS in Arts Administration from Drexel. Carly Rapaport-Stein is the Executive Director of Intercultural Journeys and an adjunct instructor in fundraising and arts & culture in Drexel University’s Entertainment and Arts Management program. Carly’s served as a panelist on multiple arts grant panels, including the Philadelphia Cultural Fund, the Pennsylvania Partners in the Arts Advisory Panel, and the New Jersey State Council on the Arts (upcoming). She holds a Bachelor’s of Music in Voice Performance from Westminster Choir College, a Master’s of Music in Opera Performance from Temple University, and a Master’s of Science in Arts Administration from Drexel University. Nick Crosson (moderator) works in development for Pennsylvania Ballet on individual giving, research, and analysis. Ensconced in the Philly cultural community since 2004, he previously worked for DataArts, where he helped build a DEI survey system and published reports on demographics and the Greater Philadelphia Cultural Alliance, where he served as lead researcher for the Portfolio and Arts, Culture & Economic Prosperity in Greater Philadelphia report series. Emerging Arts Leaders: Philadelphia is excited to host A Fresh Take, an exclusive evening showcasing the power of messaging in the arts. Join us at La Peg + FringeArts for a Q&A with members of FringeArts’ marketing team who are eager to share tools you can use to showcase your work and build your audience. FringeArts’ Marketing and Communications Director Clare Frisbee, Marketing Manager Raina Searles, and members of the producing team will be on-hand to answer your questions about how programming informs effective marketing no matter your discipline. Whether you’re an actor or an admin, painter or a poet, don’t miss this opportunity to gain insight into the marketing strategies of one of Philly’s premiere cultural institutions. Following the conversation, attendees will be invited to see fresh FringeArts programming in action during their Festival Preview, featuring in-progress showings from upcoming Fringe shows! This pre-show conversation is free for all, and the Festival Preview is a suggested $5 donation. Your RSVP to EAL:P guarantees you a seat at the Festival Preview. Negotiating the Workplace: Get what you need. Negotiation is a skill that all of us need at one time or another. We negotiate not only for our salary and benefits, but also to succeed in our creative partnerships, our networking relationships, and our work with community members. Join other arts leaders for a hands-on, interactive workshop that will teach you to get what you need in order to make an impact. Learn how negotiating for what you need isn’t something you should feel guilty about. We’ll discuss tools and strategies you can use immediately. Career coach Lynn Carroll will share practical, adaptable techniques that will give you confidence the next time you have to work out a compromise or advocate for more resources. Visit Eventbrite to get your tickets. On Saturday, EAL:P dropped by the Village of Arts and Humanities for Annual Park Day! 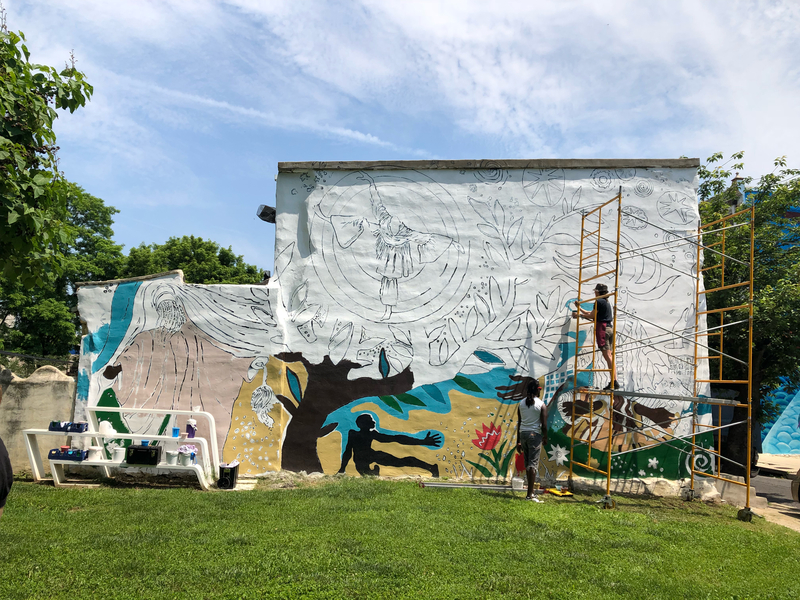 The Village of Arts and Humanities is a 30-year-old community arts center in North Philadelphia that offers diverse programming and has transformed blighted lots and houses into glittering murals and art parks. 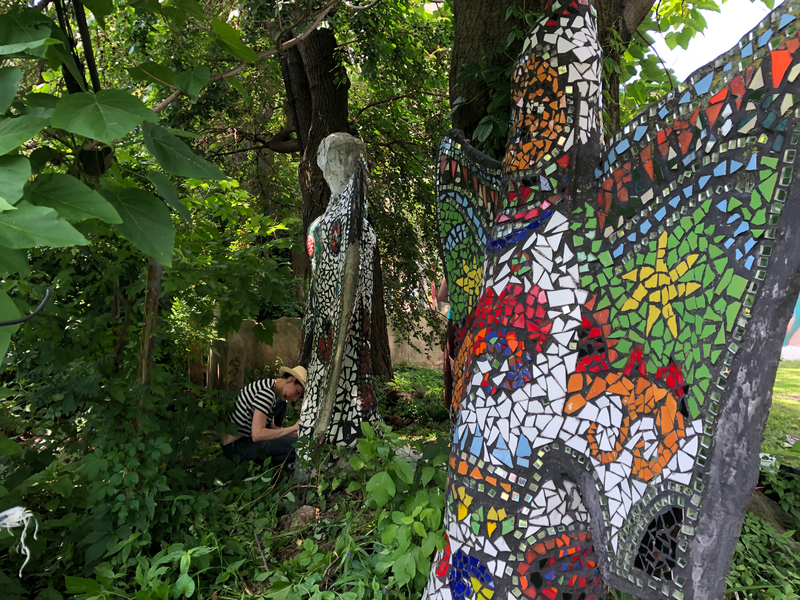 We are proud to support their advocacy for the arts and the environment by helping the Village plant, restore mosaics, and clean up their historic art parks. Many thanks to Kathleen Ogilvie Greene, Curator of Public Programs, Barnes Foundation; Erica Hawthorne-Manon, Small But Mighty Arts; and Maggie-Malachi Lily for an insightful discussion about Artist Bash: Heartache – we look forward to partying with you again!